Last week, we posted a photo of the Granada after a fire. Here's another from the same series. 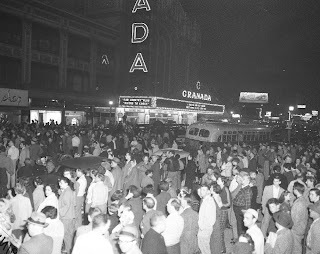 A fire on April 12, 1955 in a small pub next to the Granada Theater forced the evacuation of movie goers.